This will be the week that I reveal some interesting things to you. Many people will want to seek out a certain day and God is showing us a certain day here in the Book of Zechariah. But, we must also look at the entirety of what is going on during the time-period. The Four Blood Moons are about special days known as, ‘The Lord’s Feasts’ AND they are also about a time-period. This also will be about a time-period that will show us a pattern. This week The Yood of Elohim will appear before our faces in another picture that He is showing us. I have written pages on these happenings as I literally walked away from my desk after seeing them. Those stories will be in a book series that will be known as, The Yood of Elohim. This blog will touch on the revelations that God reveals, but not in their entirety. There is not enough room in this blog. This blog is designed to wet your taste for more of seeing God in our lives. I already found a viewer that has liked one of the blog posts and I see that they too witness God’s hand in their life. I pray that many people will be like this and this blog will have a following of believers that have an opportunity to give our Creator Elohim the glory. These stories do NOT belong to us, but are given to us to reveal so others may believe how great Adonai is. Remember the study is always labeled by some of the first words in the study. In the last few weeks we have seen God bringing the Hebrew out of Egypt and that is was by His strong hand represented by the closed hand (yood) that He did it. The ‘yood’ pronounced like ‘yud’ is also represented by the number TEN (10). The Hebrews have already had some judgments laid on them as they’ve already grumbled. Mosche is already acting as a mediator between the people at the mountain base and his father-in-law (representing The Father) has told him how to lay out the governmental structure so that the people nor Mosche would be exhausted. Governing should be easy on the people and the leaders. It is interesting that as these instructions are given Israel’s Prime Minister BB Netanyahu fired his cabinet and elections are being set for March 23, 3 Nissan, 2015. We see other governments unhappy and replacing their leaders. Even in America, former mayor Guiliani has openly charge President Obama as NOT being an American. More articles are appearing and I will share some of that soon. Let’s begin with the activities that God has moved me to record on my Hebrew calendar this last two years. These are his dates. They are historical weather, earthquakes of importance, and just history that fit with the stories that have been written. Let’s see if they tie into the Torah study when we get to doing that this week. Sunday, February 8, 2015 was Shevat 19, 5775. It is the 67th Anniversary of the slaying of Gandhi in 1948. He was killed by Nathuram Vinayak Godse, a Hindu fanatic. Shevat 19 1973 approved Roe v Wade. We are now man-slayers. Approved butchery across America. 42 years of slavery of the unborn. You tell me how many have died? I know, but do you? 2004 – There is a 5.3 earthquake felt in the Dead Sea. It is the only earthquake in Israel listed under other countries. This Dead Sea quake was also felt in Jordan and Syria. 2014 – Ten years to the day, New Zealand hosted a 6.2 earthquake. Shevat 20, 5775 was Monday, February 9, 2015. 1935 – Helena Montana – Last of SEVEN large quakes to affect MT, WA, WY, ID October – February. The month of Tishrei to Shevat felt 233,000 square kilometers. 1965 – 8.2 Kepulanuan Sula Indonesia on Yitro Shabbot, 20 Shevat. 2015 – TWO feet snow Boston this day. Broke 1978 record of 5 feet in 2 weeks with more expected. 100 flights canceled as East Coast breaks records. As I type this, I realize these are ALL big Anniversaries. 10, 30 and 40 year. 1902 Carnegie Institute Washington D.C. I just watched the movie serial, The Men Who Built America. You should watch it and you will see why these men created BIG earthquakes for America. They gave us industry but they also gave us financial collapses. My father was born in 1920 and my mother in 1928. Their lives were affected by these men and Carnegie Steel. The money these men gave back at the end of their taking lives have us remembering them as good. They competed to be the richest and then they competed who could give away the most. Shevat 21 – 2015 – Record breaking weather. Shevat 22 – February 11, 2015 – East Coast shutting down from weather. 2015 – Mardi Gra Feb 12-17 – Rains on their parade before Wednesday lent. Record snow and ice shuts down Midwest, southern states and east coast. Shevat 24 – FOUR HORSEMEN – Zechariah 1:17-21. Four horsemen go up and own earth seeking craftsmen that will take peace from the earth. Four horns are sent to Judah, Israel and Jerusalem that put them in flight. This is interesting: Abraham Lincoln is born in two days, Shevat 26, of whom sets the slaves free. He is three-years old living in the Midwest when these quakes occur. God was announcing him in his third year….yes…likened Yeshua’s defeating the grave in three days and His returning back to this earth in the Third Day. 1812 – 7.7 Missouri Madrid quake, eve that begins Sabbath. (203 Hebrew Anniv). February 7, 1812 Largest Missouri Earthquake. Shevat 24’s Four Horsemen has the last and strongest of THREE New Madrid earthquakes. They covered 3,100,000 sq miles, 3:45 a.m. I call this the 7.7 Madrid Three-Month Triplets. On December 16, 1811 in Arkansas it was Chanukah Day 6, the number of man. It was Rosh Chodesh (head month) Month of Tevet Day 1. The first shock of 7.0 damages 372,000 square miles. The second shock occurs the same day at 7.7 magnitude. SIX (man’s number) aftershocks occur in the first two days of 5.5 to 6.3. Hundreds of quakes felt into 1813. Born Shevat 26..restores peace..Thanksgiving..In God We Trust. (Another interesting note about Thanksgiving 2013 being the last time Chanukah Day 1 would be on the same day for over a thousand years is that it was Abraham Lincoln who would implement it in 1863 to be held on the last Thursday in November. That day was Kislev 15, the day the Maccabees won back the temple in Jerusalem in 163 BC, ten days before Chanukah.) Abraham Lincoln is so tied to God’s hand in being a foundation stone that shakes our lands. I can’t help but share more about world leaders since Yithro is still on our minds from last week’s Torah reading. President George Washington was born on Kislev 16, 1799. He was a freedom fighter for America and will carry his own story later in my writings. Between Kislev 15 through Kislev 25 the Temple is being cleaned for TEN (yud) days by the Israelites. George Washington will celebrate his 65th birthday on 25 Kislev, Chanukah Day 1, December 6, 1863. 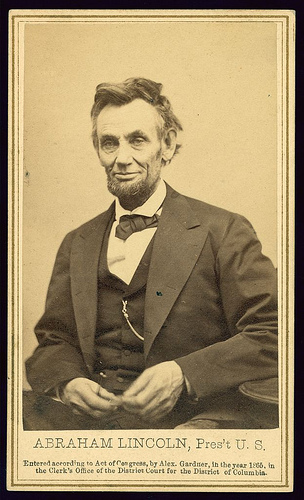 It was exactly one year two weeks earlier that Abraham Lincoln signed the 1863 Emancipation Proclamation on December 31, 1862 but presented it to the people January 1, 1863. What day was January 1, 1863? It was Tevet 10. It was the Fast of Tevet where every Jew is fasting as this was the day of their first attack before their walls were breached and carried off for seventy years in the days of Ezra and Nehemiah. I want us to remember these days as they repeat themselves in history. We are carried off as we kill our leaders that God has sent us. Some we deserve as punishment and some are given to save us. Also on Kislev 16 my calendar shows another George who tried to clean up slavery. Mexican mayor, George W Glassock who fought with Abe Lincoln in two Illinois militia dies at his own doorway. I saw this doorway at the San Antonio Alamo Museum last Fall. The day was December 7, 1835 known as the Bexar Siege. It was a battle before the Battle of the Alamo. Yes, there would be another door breached 106 years later on December 7, 1941. That door was America’s Pearl Harbor. Only by the hand of God do we see these stories align with scripture and on our very own calendars….Hebrew and Gregorian. Now, back to this week’s history. It’s still the Day of the Four Horsemen, Shevat 24. 1933 – Kansas has it’s own horsemen released with a earthquake that covers 6,000 sq miles. It covers Norton and Decatur counties in Kansas and Fumas and Harlan counties in Nebraska. 1973- VV Day (Victory Vietnam Day) declared by President Nixon on the Sabbath. The new 94th Congress breaks the agreement with South Vietnam with President Ford pleading to replace what they need one-for-one to still defeat the South Vietnam. Today we still have communism in Vietnam because of this default. The Four Horsemen are remembered in what is considered a ‘failed’ war. 2010 – Washington DC government closed as 230,000 workers canceled as snow plows are canceled as weather too dangerous. Cost: $200 M for 2 days. 2015 – Washington DC government and East Coast closed. Record snow and ice pelt 1/3 of U.S.
2015 – ISIS (Islamic State) believes in Apocalypse. Beheads 21 Coptic Christians in Libya (Egyptians). Earlier threw homosexuals from building and dropped heavy material burying them. Shevat 25 – Four Horsemen of Solomon still at work in 2013…. 2013 – 8.0 Lata, W Solomon Islands. Four Horsemen go out and found THREE to stir up peace…. Peace is removed so men look to God. Solomon had the kingdom taken from him via his grandchildren. Josiah, one of the last, was called a great King and loved by God. Shevat 26 – ABRAHAM LINCOLN is born 1809. 2015 is his 150th Anniversary of his assassination, 19 Nissan 1865. A great man who put, “In God We Trust” on our coins.